GMVN Tourist Rest House in Taluka provides budget stay option to the trekkers to Har ki Dun. Taluka is a scenic hamlet situated on the route to Har-ki-Doon. It acts as the starting point of the trek to Har-ki-Doon. Previously the road was connected only upto Sankri but now jeepable roads have been built upto Taluka. 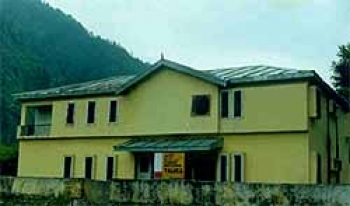 The GMVN Tourist Rest House at Taluka provides with economy rooms and dormitory. The rooms are equipped with basic amenities. The resort is situated at a scenic location. 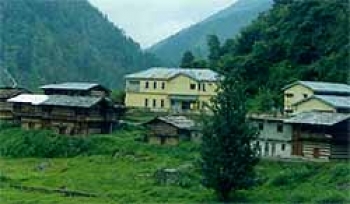 Taluka is situated at an elevation of 1900mts above sea level in interior region of Uttarkashi district. It is situated on the route to Har-ki-Doon. It is situated 205kms from Dehradun railway station. GMVN Tourist Rest House offers 10 Bedded Dormitory having basic facilities and amenities such as clean bathroom, hot water supply etc. There is a kitchen in the Taluka GMVN Rest House serving heathy snacks and food.